*Free standing building with partial basement. *Property Description: Directly opposite new flagship Starbucks coffee shop. Just off the main intersection of Hempstead Ave and Nassau Blvd. 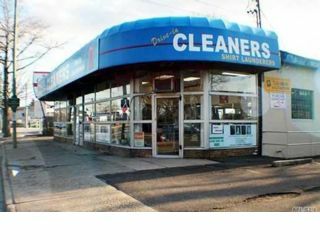 Property and business, Environmental Dry Cleaner, sold together for $1.25 million. For the past 15 years, this business has operated as an environmentally clean process.